Being a homeschooling mom is a gift. I get to observe the discovery process that happens outside the classroom. I like to sketch little ones who are hands-on learners. On this particular day we were with a wonderful homeschooling group. This little guy with amazing blonde curly hair was not so sure about joining in the pool fun. 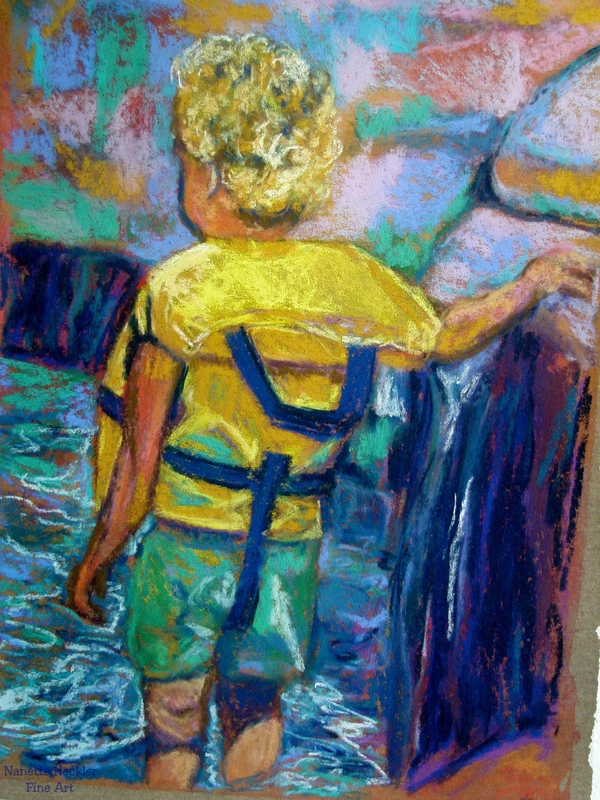 He was strapped in to his life vest, the kind moms love because they have a handle. He was going to stay at the water’s edge and observe for a while.